Advanced multifaceted supplement, in powder form, to support and maintain joint health. 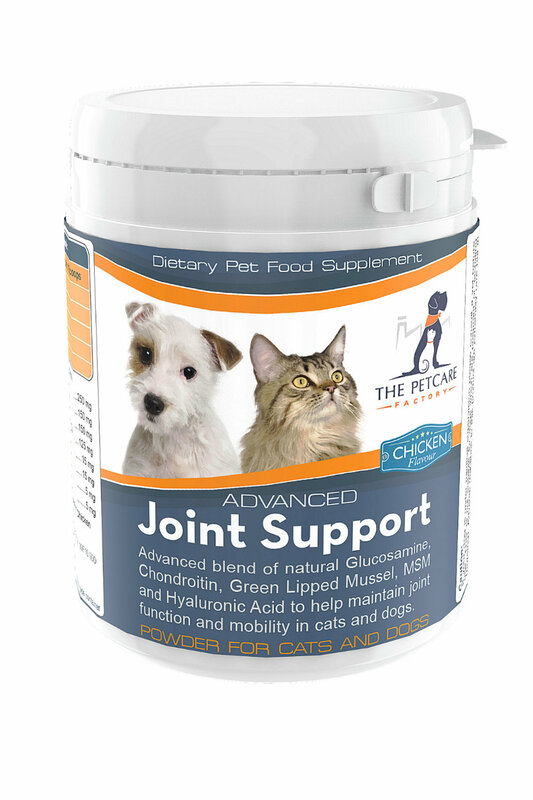 Containing a powerful natural blend of powerful glucosamine, chondroitin, green lipped mussel, MSM, curcumin & hyaluronic acid the product offers a mix of both traditional and modern progressive ingredients to aid stiff and painful joint in working and ageing pets. This product comes in powder form, and is more suited for small dogs and cats where you need to administer a smaller daily dose. The product can also be useful if your pet is larger and you have difficulty feeding them tablets, without having to break or crush them up and disguise them in their meals. The product comes with a small plastic scoop which makes measuring out the correct dose required, as simple as possible.. Approximate quantity of ingredients in each scoop.